“We are in a perfect place to grow grapes. We’ve got sunshine, we’ve got hillsides, proximity to the ocean, the cool breezes and fog and we’ve got low yields.” Ira Gourvitz has plenty to be happy about. It’s harvest time and the fruit is exceptional. 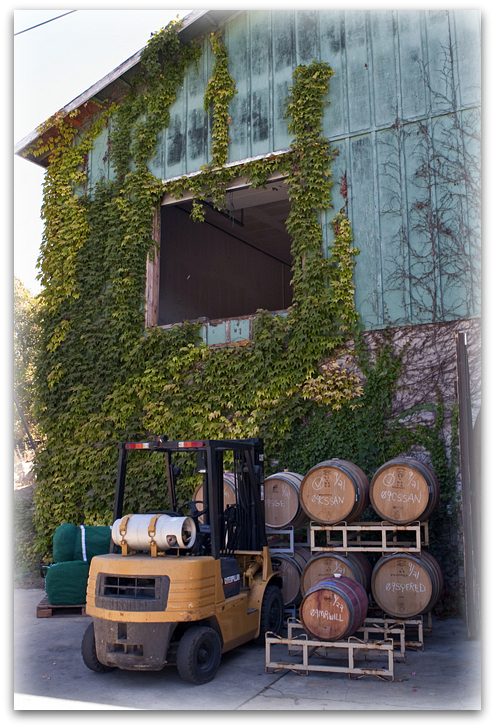 His 2007 Sleepy Hollow Vineyard Chardonnay has been awarded the Gold Medal for Best of Region and Best of Class at the California State Fair. 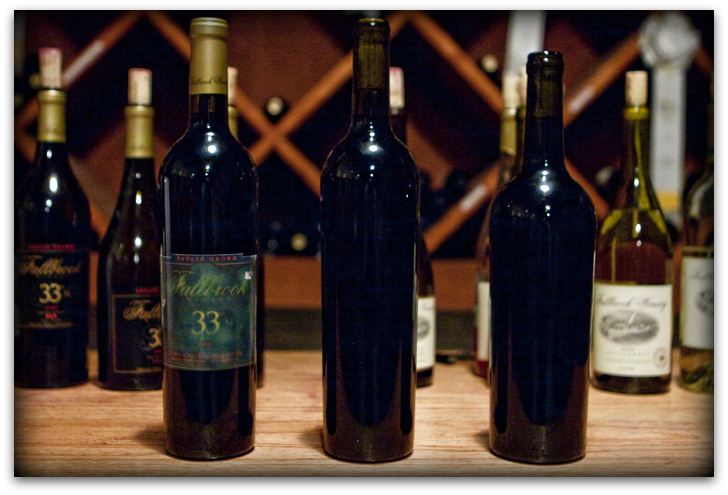 His Fallbrook Winery 33° BDX (the barrel code for Bordeaux Blend) is getting rave reviews. 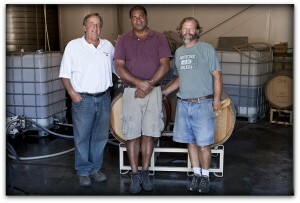 His team of winemakers, Duncan Williams and Vernon Kindred are producing exceptional wines. 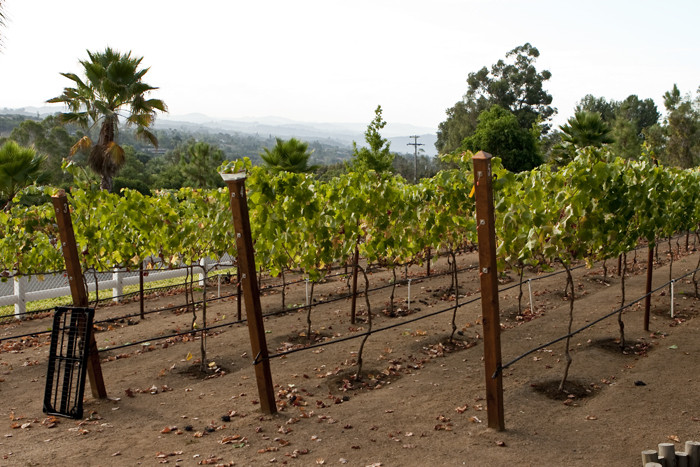 Ira says the difference between Fallbrook fruit and Temecula fruit is not only Fallbrook’s proximity to the ocean, but the decomposed granite soil that allows his vines to grow thirty feet down. 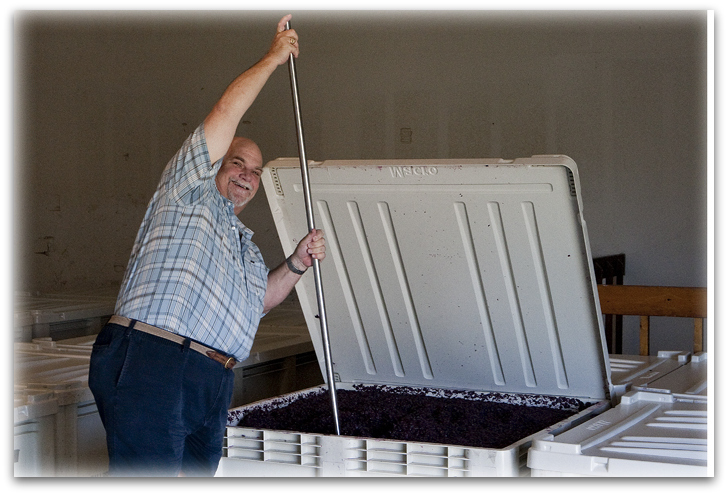 Because of the cool nights and mornings his grapes have more natural acids and he can produce a wine that’s lower in alcohol, allowing the fruit to shine through. The hillside vineyards allow for excellent drainage. Fallbrook Winery is the largest winery in San Diego County. 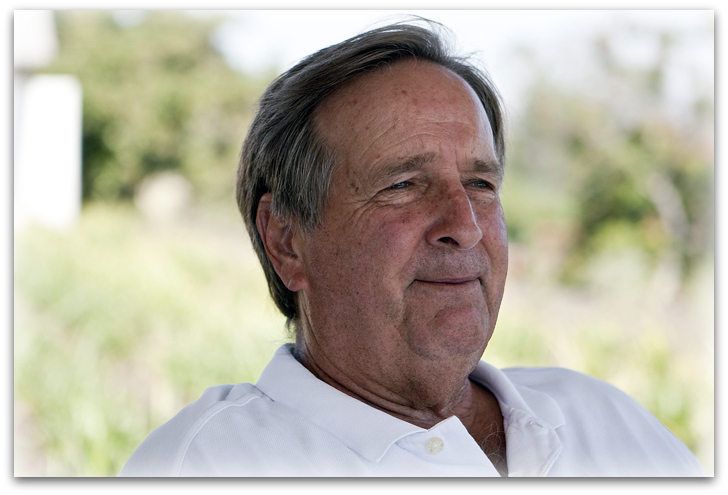 He has 20 of his 36 acres planted now with Merlot, Cabernet Sauvignon, Cabernet Franc, Petite Verdot, Malbec, Sangiovese, Syrah, Chardonnay and Sauvignon Blanc. There are plans to plant an additional five acres over the next five years. He’s not afraid to invest money to continue producing a quality product. He recently installed a water monitoring system that has sensors at one, three and ten foot depths. By looking at a computer he can tell how long it takes the water to get to a certain depth. Ira uses both French and American oak barrels with an inventory of 500 barrels and another 200 on the way. At approximately $1,000 per barrel, well, you do the math. Ira is a gentleman and a gracious host. He gave me a complete tour of the facility, showed me some of the wines they produce for other wineries and then guided me into the tasting room. 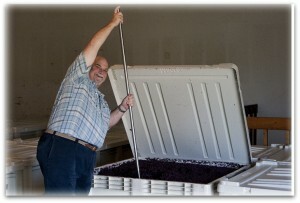 His pride in the wines he is producing is evident. 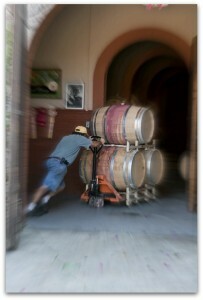 As he opens a bottle, he delights in telling you where the grapes came from and how the wine went from vine to bottle. 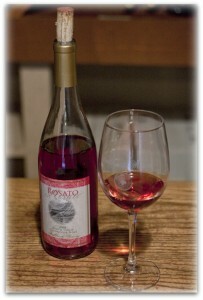 His 2008 Rosato Sangiovese Rosée has an exquisite color that come from spending 14 hours on the skin. The nose and mouth feel are heavenly. It’s easy to see how the ’07 Sleepy Hollow Vineyard Chardonnay fared so well in competition. Aged 14 months and 100% barrel fermented in French and American oak, it’s a wonderful, buttery Chard. The ’08 Monterey County Sauvignon Blanc presents classic flavors of grapefruit and tangerine with a touch of passion fruit. The reds shine. His 33° series of wine refers to the 33rd parallel, roughly the south of France. These 100% estate grown wines are incredible, the ’07 Sangiovese has intense flavors partially due to the fact that juice for the Rosato Rosée was taken out, leaving less liquid on the same amount of skins. He is especially pleased with the ’07 Merlot, aged 21 months in French oak. 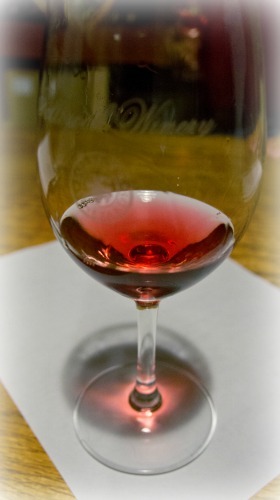 It has intense color, a wonderful nose, great fruit and a lingering finish. The ’07 Clone 4 Cabernet Sauvignon is a complex wine and promises to become more magnificent with age. The Syrah and BDX (Bordeaux blend) were also great examples of the varietals. 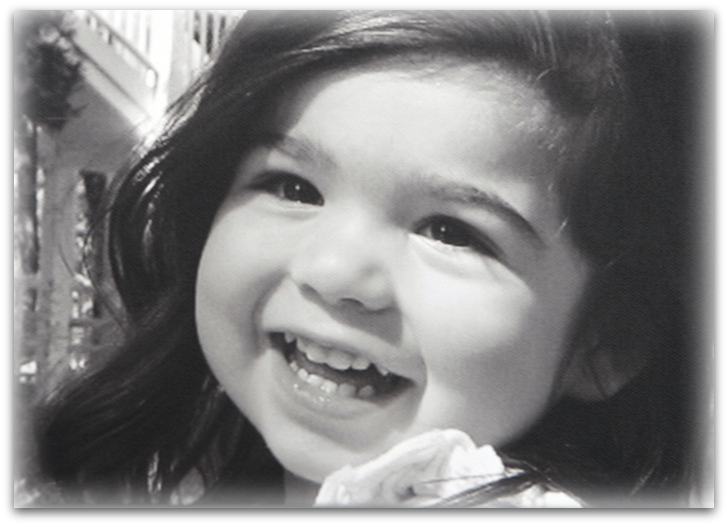 Ira’s first granddaughter is named Gracie Hill, and one of his vineyards bears her name. His Taylor Ranch vineyards will soon be renamed Mela vineyards after his other granddaughter. After touring and tasting, Ira invited me to join him at his newly completed home for a sandwich and some wine. His home is magnificent with a panoramic view that includes his vineyards and winery. We had a relaxed visit and it’s been a pleasure getting to know this gentleman. 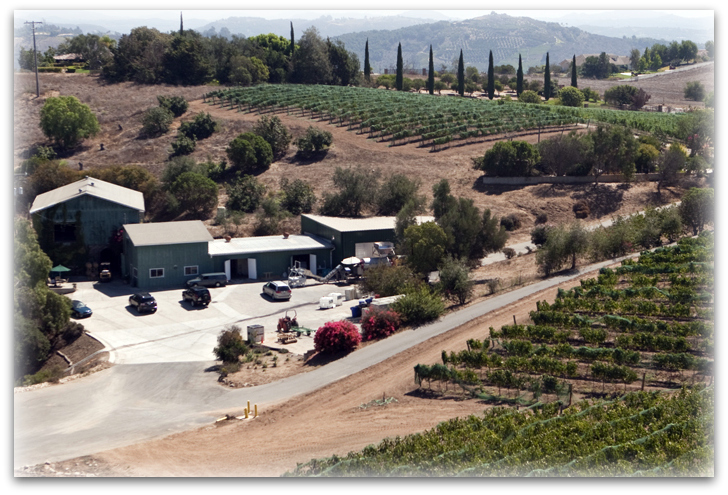 Fallbrook Vineyards is available by appointment. You can call them at (760) 728-0156. Don’t be surprised if Ira answers the phone. I love Fallbrook Winery’s Sleepy Hollow Chardonnay. Recently had opportunity to try their Sangiovese. Very good! 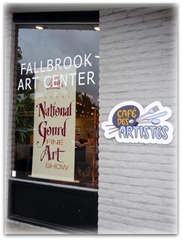 Fortunately more and more restaurants and wine bars in my area (San Diego) are carrying the Fallbrook wines. People, do NOT be prejudiced agains “local” wines. These are seriously good. They’re making wonderful wines. Thanks for stopping by. Interesting article Tom. I think I’ll give it a try I am a Sangiovese fan anyway and it sounds tempting. See you soon. 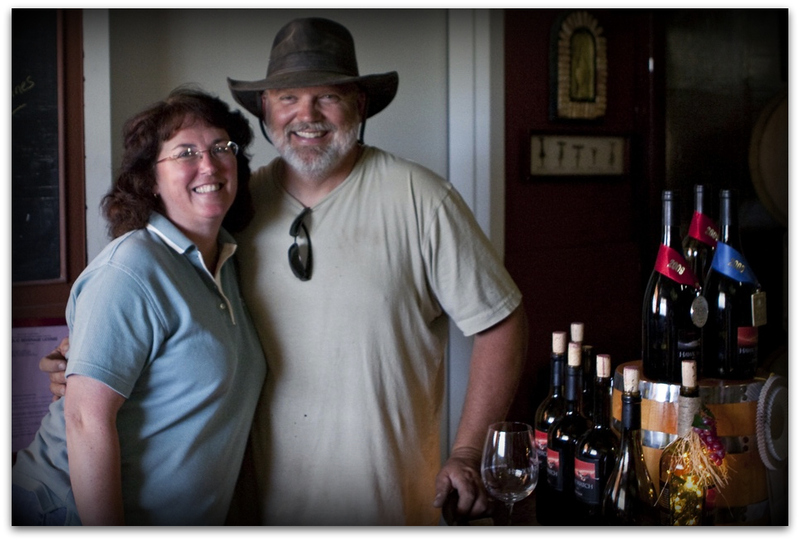 Dear Tom & Laura – We thoroughly enjoyed your article on Fallbrook Winery. Living in Fallbrook, we had the pleasure of meeting Ira, Ted & Duncan a few years back and quickly became fans of their wines. 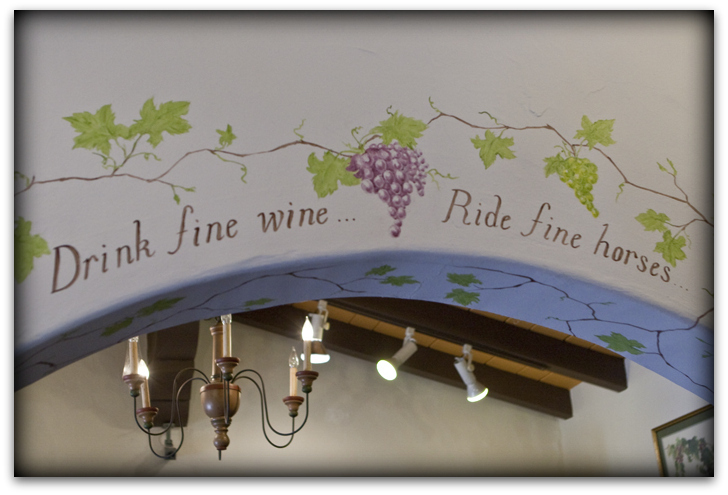 On an it’s-a-small-world-after-all note, while once vacationing in Tucson, we dropped into Terra Cotta bistro for a bite and were pleasantly surprised to find Fallbrook Winery on the wine list. Ira gets around. (Care to guess what we washed down our enchiladas with that afternoon?). Keep up the good work! 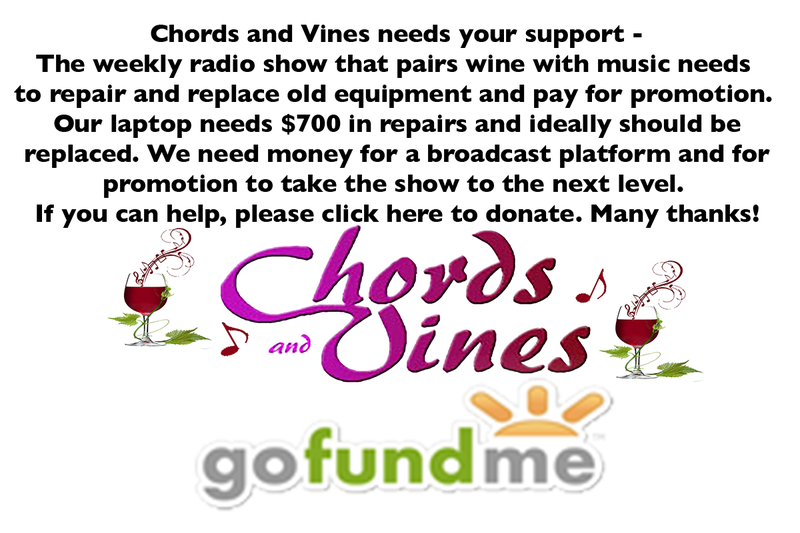 Michael & Karon of CAKE Newsletter. Tom, love this blog! And I miss you on Active Rain! Pat – So glad you found me here. I miss AR, too, but can’t make room for both! Hi Celeste – Next time you’re out we’ll visit there. You’ll love it!